A courageous story of surviving government corruption, The Parrot’s Perch is an often harrowing memoir. 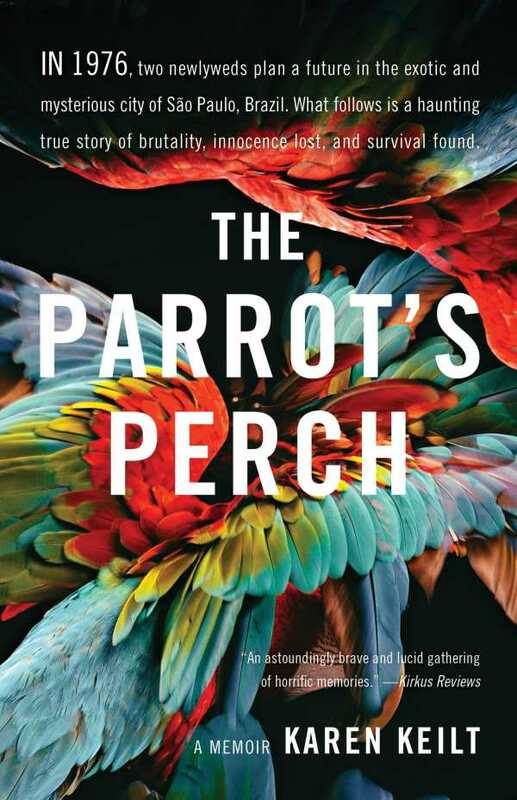 Karen Keilt’s brave memoir The Parrot’s Perch, told partially through a 2013 interview with the Brazilian National Truth Commission, is about overcoming abuse at the hands of the police. In 1976, Keilt and her husband, Rick, were newlyweds. While in Sao Paulo, Brazil, they were arrested on drug charges—possibly in relation to their brothers, who were dealers, or possibly because of Keilt’s father’s complicated military connections. They were wrongfully imprisoned for forty-five days. Keilt recounts these painful events in the hopes of bringing her captors to justice. Her transcribed interview includes background information from before she was married, too, including about her opulent upbringing, competitive horse riding, and traveling the world. Her book also follows her release from jail and her move to the States without Rick. Some of the mysteries surrounding her arrest remain unsolved, but a new family helps to release her from the past. The interview with the Brazilian National Truth Commission helps to contextualize and provide structure for the rest of the work. It is the impetus for Keilt to revisit her traumatic memories, and the interviewer acts a buffer between Keilt and reader. Her responses are sympathetic but probing, and they help to calibrate any reactions elicited by Keilt’s gruesome details. Keilt’s narrative voice is natural, mimicking speech. The breaks that she takes from the more difficult parts of the story become welcome. Chapters are short and self-contained; each has its own definitive beginning and ending. The lasting effects of police brutality are revealed, and Keilt also works to make sense of the dissolution of her marriage and her long trek toward healing. Her pursuit of understanding is dogged. Despite the difficult content, the book’s tone remains upbeat, and it moves forward nicely. Other characters are captured through dialogue, as when Rick’s early tenderness gives way to sour words and curtness after their imprisonment, or when Keilt’s mother transforms from a distant presence to an apologetic one who expresses admiration when it comes to her daughter. As the narrative progresses, Keilt’s voice becomes stronger and stronger. Her descriptions become clearer, more abundant, and more hopeful. Gory details—such as of the torture device that gives the book its title—provide glimpses into her imprisonment, and they contrast dramatically with the full picture she paints of her life after her release. A history lesson conveyed through a personal story, The Parrot’s Perch is a courageous story of individual subjection to Brazilian corruption.